Sept. 2017 Update - Skyrocketing construction costs around the province are affecting both timelines and budgets for our proposed new facilities. Given this extraordinary 30-35% increase, the new BC SPCA Kamloops & District Community Animal Centre is now projected to cost approximately $6.1 million. We expect to have finalized these costs by year end and start construction in 2018. 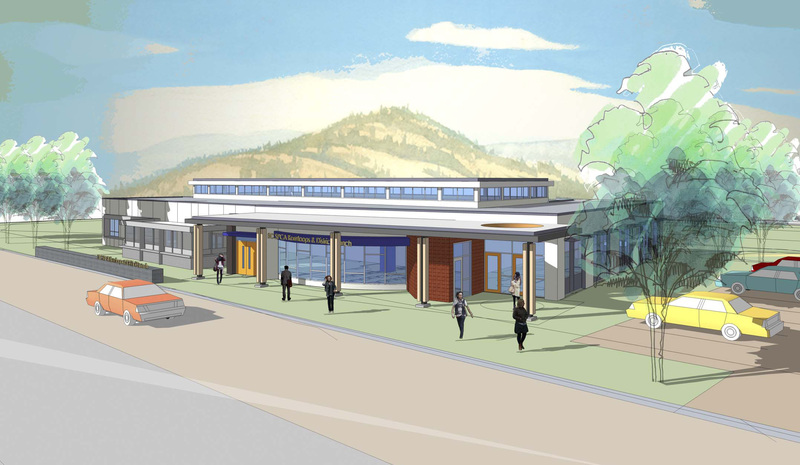 We are building a new and improved BC SPCA Kamloops & District Community Animal Centre that will help care for and protect thousands of animals each year. This will enable us to replace the aging and inadequate shelter we currently have, combined with our offsite Spay/Neuter Clinic with one new, purpose-built Animal Care Centre. With continued help from the community, together we have already secured more than $4.4 million including a very special gift of $1.5 million from the Province of British Columbia. Your compassionate gift towards will bring us one step closer to meeting that goal - to build a better future for animals in Kamloops. The animals need you to help open the doors. Please make a gift today! The new facility will be a critical hub for animal rescue in the Kamloops region and will be a special place to strengthen the bond between animals and humans. This new Community Animal Centre will meet the needs of the animals and create a welcoming place for potential adopters - making all the difference in how quickly animals find their new families. This new facility will incorporate mordern designs to ensure the highest levels of health and welfare for animals, including 14 shared "apartments" for dogs to encourage natural movement and socialization, five large cat rooms, designated areas for temperament and behavious assessments and specialized isolation areas for sick and injured animals. The centre will also have a large retail area for pet supplies, a dog-wash station for the public, office space for regional animal cruelty investigators and a multi-purpose space for dog training, SPCA youth camps, workshops and other events for the community. Stay tuned for more information, including photos! We are aiming to break ground by in spring 2018. April 2017 - The blueprints are in! Invite your friends, and maybe you'll be the first to appear here! “This new facility will transform how abused and abandoned animals are cared for in the region. Together we can prevent animal suffering and give innocent animals in need a second chance. This new facility could make Kamloops one of the most humane regions in BC.” Announced May 7 2016 at the FurBall Gala fundraiser in Kamloops. The BC Government is providing $5 million to support the BC SPCA’s Facilities Development and Services Plan. The Facilities Plan is an eight-year strategy totaling $50.4 million to replace or renovate aging BC SPCA infrastructure in 10 communities across British Columbia – the largest capital plan in the organization’s 121-year history. The funding includes $1.5 million for the new BC SPCA Kamloops & District Community Animal Centre. Raise friends for the animals! The animals need all the friends they can get. Will you help them? Set up your personal fundraising page in minutes, and share this cause with your friends and your community. Choose your own fundraising goal, and ask your friends to help you reach it. You can make a big impact! Looking forward to the new SPCA! Our beautiful Abby is the love of our lives! Thank you!